So your adolescent male puppy has started to lift his leg to urinate or perhaps your house trained canine has all of a sudden started urinating in the house again. What's wrong? Did you do something wrong? Is he upset or is he simply growing up? When it comes to male dogs around 6-12 months of age, hormonal changes can spike the desire to territory mark. It is possible to prevent urine marking by leg lifting or leg cocking by desexing. It is believed that desexing before adolescence and sexual maturity can prevent inappropriate urination in over 60% of male dogs. That's just one of the many reasons why we recommend desexing. But why do dogs mark? Like many canine behaviours, the male dog is protecting his pack from intruders - specifically other canines. That's why some male dogs will start marking at the addition of a new family member, either the two or four legged variety. Your dog is merely protecting the new addition rather than defending his position as some may believe. If your male pet is not desexed then you should consider it now. We are more than happy to answer any questions you may have as there are many myths about male desexing and on the other hand many significant benefits. You can also find out more about desexing in our pet library here. Revitalise your puppy training effort. Provide your dog with rewards and positive reinforcement when you see your dog marking outside. Familiarise your pet with new objects before placing them on the floor, particularly if they are tall objects. There are numerous reasons why a dog may soil inside. Both behavioural and medical issues can spike a change in your dog's toileting habits. Changes in routine, in environment such as moving house, a visit from an unknown guest or pet or even changes caused by illness such as a urinary tract infection. 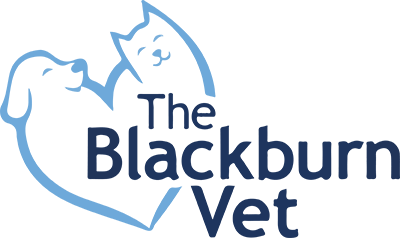 If your dog is desexed and has started marking again and there have been no major changes in their environment or routine there may be an underlying medical problem. For this reason please contact us to make an appointment for a health check-up. When it comes to treating dogs, early detection and treatment of problems will not only save your pocket but also minimise potential discomfort your pet may be experiencing.